SWARM Takes ArtStarts by Storm! What an exhilarating performance by Vancouver's very own hyper- kinetic percussion troupe SWARM! 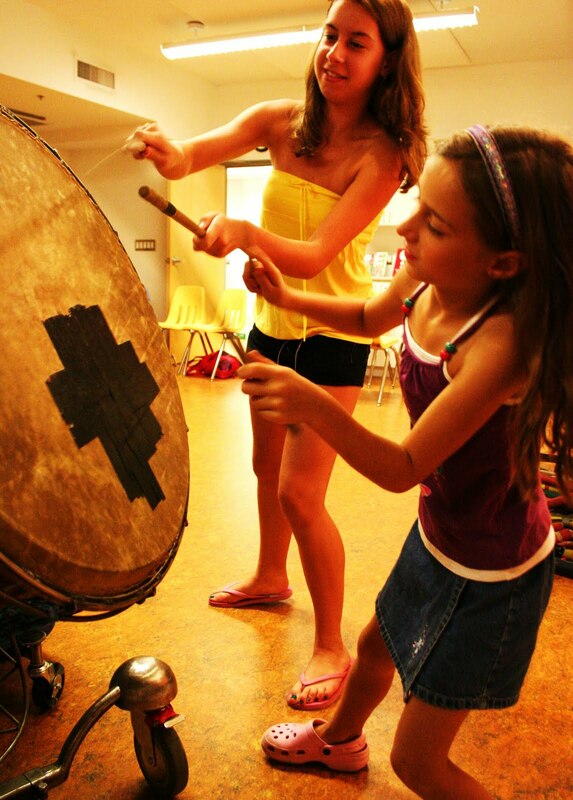 The group offered a unique hands on experience filled with fun, music and movement. 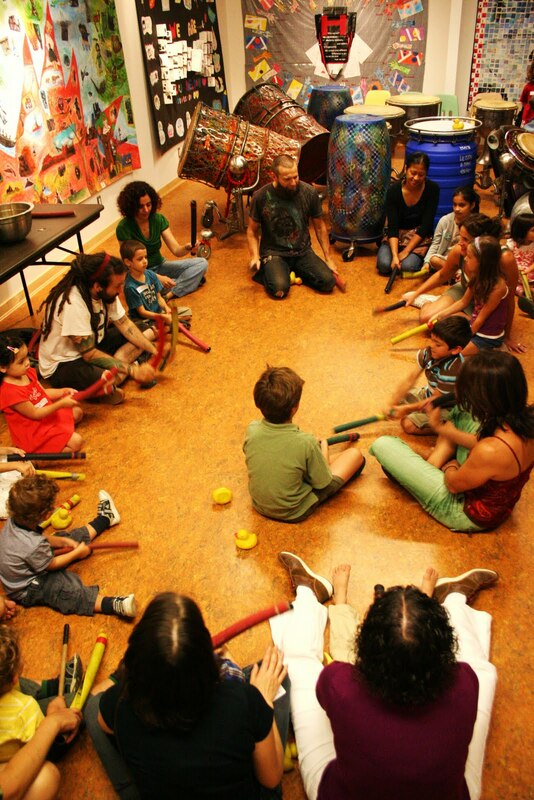 Kids learned action drumming using funky recycled instruments such as rubber tubing, garbage can drums and even rubber duckies and chickens. Parents and kids leaving the event told us it was a blast, so awesome, and that they i loved it all! This workshop was part of the ArtStarts on Saturdays series, sponsored by TELUS, Leon and Thea Koerner Foundation, the BC Arts Council, and The Province. 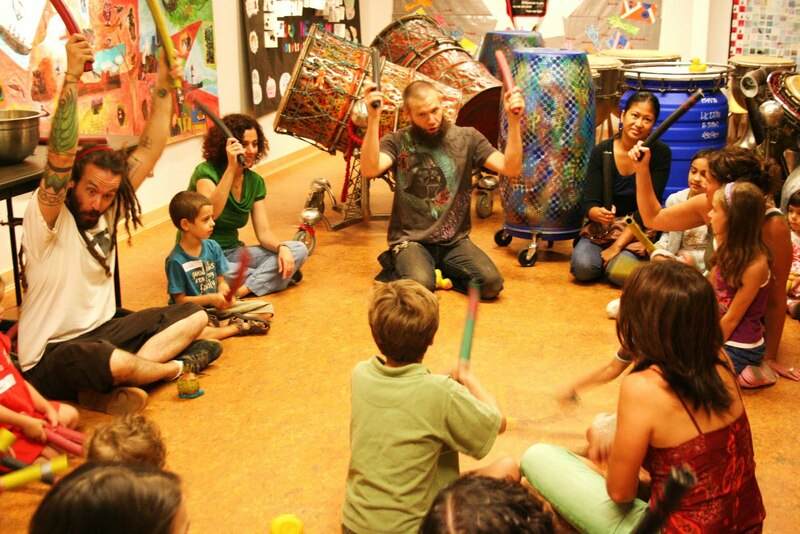 Workshops take place on the last Saturday of every month at our downtown gallery and feature some of BC's top children's performers. We hope to see you next month for a sing-a-long performance workshop with Micheal Mitchell on Sept. 26th at 11 am and 1 pm.